Oppa Hawkeye Style!. Hawkeye (Clint) suddenly. 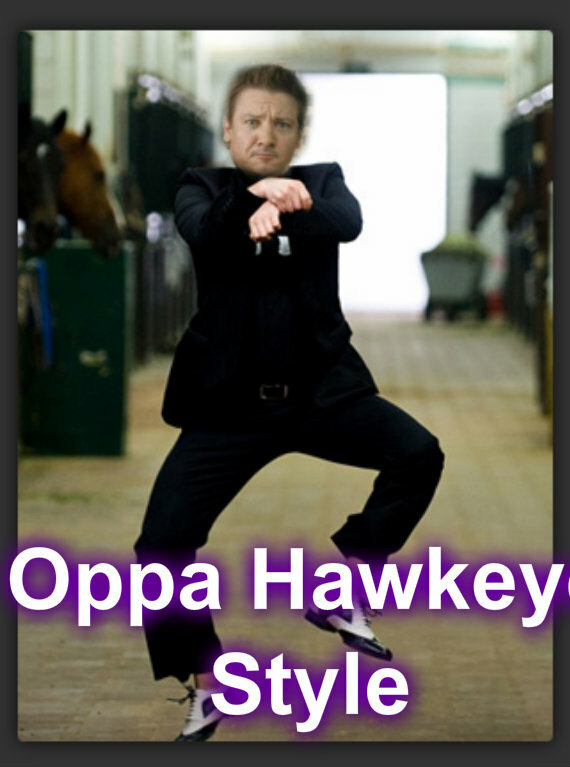 HD Wallpaper and background images in the Hawkeye & Black Widow club tagged: hawkeye jeremy renner clint barton fan art gangnam style. This Hawkeye & Black Widow fan art might contain wamevaa vizuri mtu, suti, suruali nyayo, pantsuit, mtu wamevaa vizuri, suti ya suruali, dumbbell, suti biashara, and biashara suti.